Butch Vallotton is one of the premier makers of high-end custom folders and automatic knives. He was also the first folder maker to use a blade’s thumb stud as a stop pin for the lock. 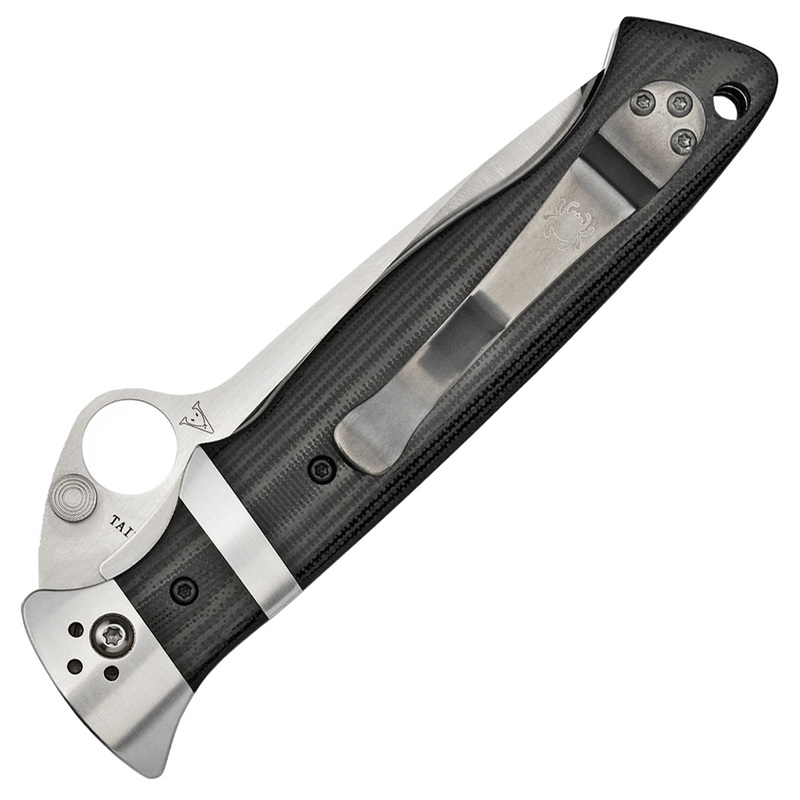 Our Vallotton Sub-Hilt honors this innovation and is the only Spyderco to feature both a thumb stud and our Trademark Round Hole. Its premium CPM S30V blade combines hollow-ground primary bevels with a faceted flat-ground tip for a superior synthesis of cutting performance and point strength. The meticulously crafted handle combines brushed stainless bolsters and a sub-hilt with contoured, polished G-10 scales. 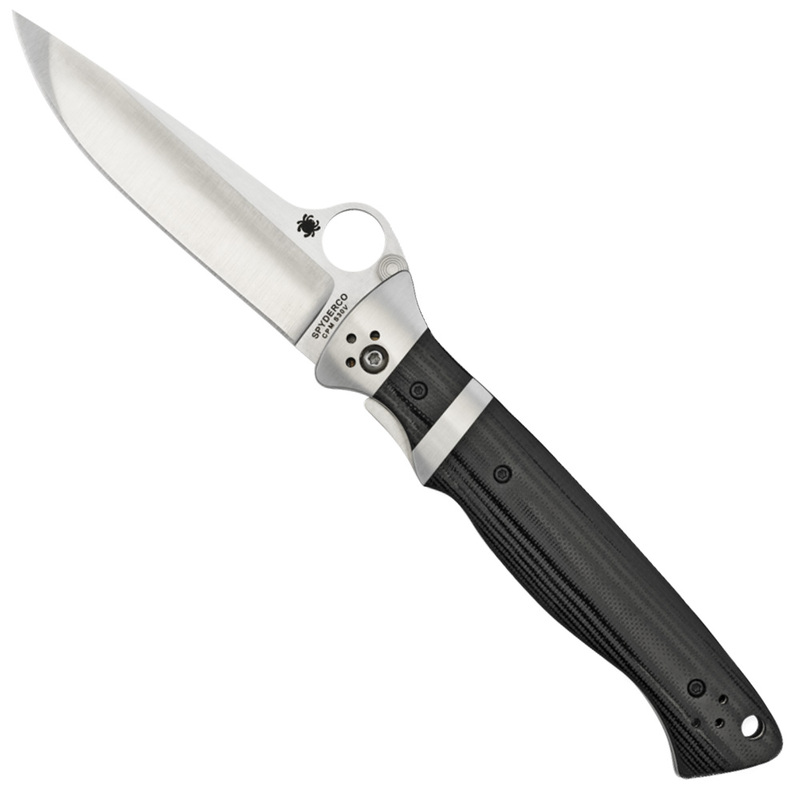 It also houses the knife’s stout LinerLock mechanism and features a four-position clip that supports all possible carry configurations.